TePe Angle is an interdental brush designed for excellent access to all interdental spaces. It has an angled brush head and a longer handle. 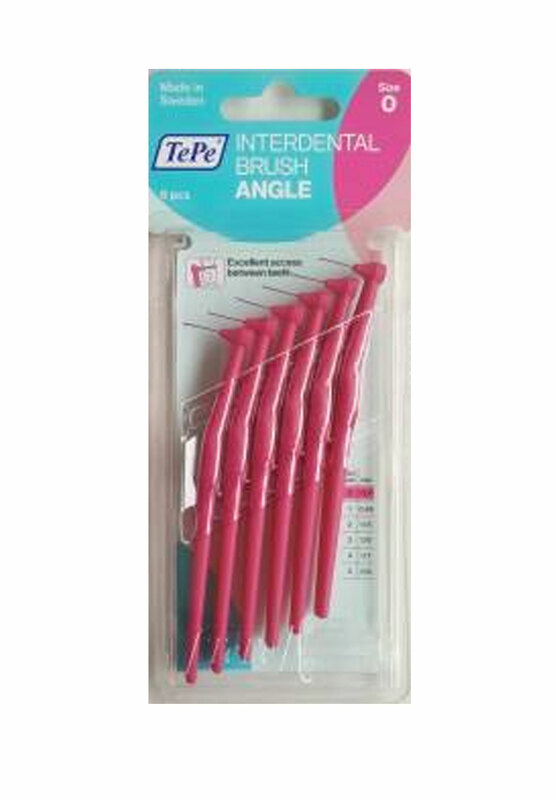 TePe Angle is an interdental brush designed for controlled and convenient interdental cleaning. 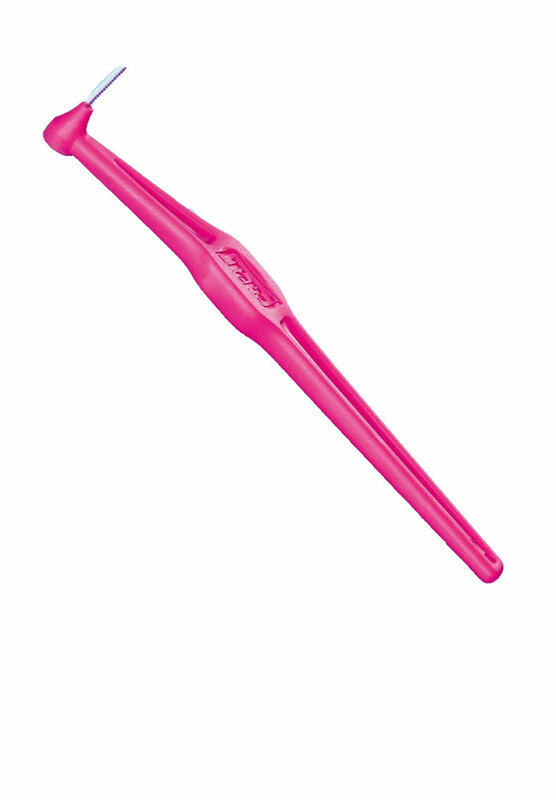 The angled brush head makes it easier to reach, especially between the back teeth and from the inside. All models have a flat, ergonomic handle for a steady and controlled grip. 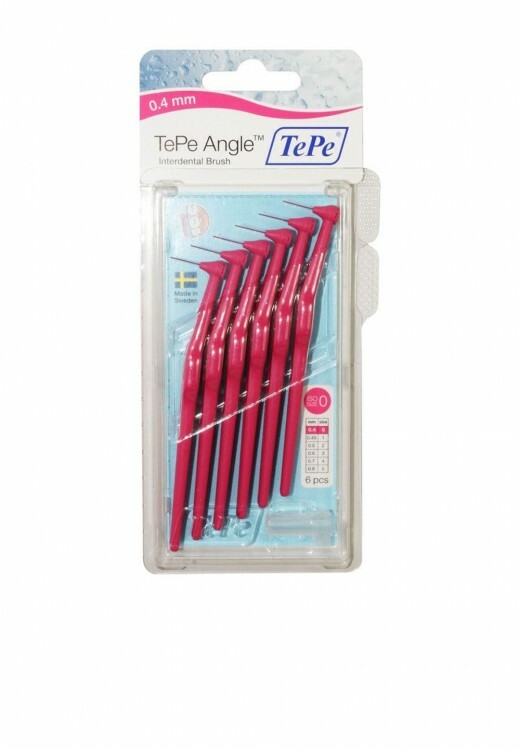 Choose between the longer handle of TePe Angle or a short handle, which can be extended with the accompanying plastic cap. The handle is made from recyclable polypropylene.